FTTH (Fiber Broadband Association ) provides its service, subject to the following Terms of Service ("TOS"), which may be updated by the Fiber Broadband Association or its representatives from time to time. The most current version of the TOS can be reviewed at any time through the use of our website (starterkit.fiberbroadband.org). The Terms of Service govern both the Fiber Broadband Association Member organizations, Affiliate Organizations and the Vendors/Clients it has granted access to the Fiber Broadband Association website (collectively referred to hereafter as Client). The Fiber Broadband Association has contracted with Socious, Inc. to act as a representative of the Fiber Broadband Association with respect to the Fiber Broadband Association website.  The Fiber Broadband Association website currently provides Clients and other users with access to a rich collection of resources, including, various communications tools, forums, file areas, and personalized content through its online interface (the "Service"). Unless explicitly stated otherwise, any new features that augment or enhance the current Service shall be subject to the TOS. In consideration of use of the Service, Client agrees to the best of their abilities to: (a) provide current and complete information about themselves, their organization and its users (such information being the "Registration Data") and (b) maintain and update the Registration Data to keep it current and complete. In addition, Client understands that in order to keep them informed of Fiber Broadband Association business items and events, that the Fiber Broadband Association will on a periodic basis send email based communications to the Client notifying them of such items and events. Client agrees that receiving these emails is a part of their use of the Service, and if they wish to not receive these emails they must terminate their account. Client's users will receive a username and password as part of the Service's registration process. Client is responsible for maintaining the confidentiality of the password and account, and is fully responsible for all activities that occur under such password or account. Client agrees to (a) immediately notify the Fiber Broadband Association or its representatives of any unauthorized use of Client's password or account or any other breach of security, and (b) ensure that Client exits from its account at the end of each session. The Fiber Broadband Association and its representatives will not be liable for any loss or damage arising from Client's failure to comply with this Section 5. Client understands that all information, data, text, software, sound, photographs, graphics, video, messages or other materials ("Content"), whether publicly posted or privately transmitted, are the sole responsibility of the person from which such Content originated. This means that the Client, and not the Fiber Broadband Association or its representatives, is entirely responsible for all Content that it uploads, posts, emails, transmits or otherwise makes available via the Service. The Fiber Broadband Association and its representatives do not control the Content posted via the Service and, as such, does not guarantee the accuracy, integrity or quality of such Content. Client acknowledges that the Fiber Broadband Association and its representatives do not pre-screen Content, but that the Fiber Broadband Association and its representatives shall have the right (but not the obligation) in their sole discretion to reclassify within the Service any Content that is available via the Service. Without limiting the foregoing, the Fiber Broadband Association and its representatives shall have the right to remove any Content that violates the TOS. Client agrees to indemnify and hold the Fiber Broadband Association and its representatives, their subsidiaries, affiliates, officers, agents, co-branders or other partners, and employees, harmless from any claim or demand, including reasonable attorneys' fees, due to or arising out of Content Client submits, posts, transmits or makes available through the Service, or breach of the TOS. Client's correspondence or business dealings with, or participation in promotions of, advertisers found on or through the Service, including payment and delivery of related goods or services, and any other terms, conditions, warranties or representations associated with such dealings, are solely between Client and such advertiser. Client agrees that the Fiber Broadband Association and its representatives shall not be responsible or liable for any loss or damage of any sort incurred as the result of any such dealings or as the result of the presence of such advertisers on the Service. The Fiber Broadband Association website may provide, or third parties may provide, links to other World Wide Web sites or resources. Because the Fiber Broadband Association and its representatives have no control over such sites and resources, Client acknowledges and agrees that the Fiber Broadband Association and its representatives are not responsible for the availability of such external sites or resources, and does not endorse and is not responsible or liable for any Content, advertising, products, or other materials on or available from such sites or resources. Client further acknowledges and agrees that the Fiber Broadband Association and its representatives shall not be responsible or liable, directly or indirectly, for any damage or loss caused or alleged to be caused by or in connection with use of or reliance on any third party sites or resources, or any goods or services available on or through any such site or resource. Client acknowledges and agrees that the Service and any necessary software used in connection with the Service ("Software") contain proprietary and confidential information that is protected by applicable intellectual property and other laws. Client further acknowledges and agrees that Content contained in sponsor advertisements or information presented to Client through the Service or advertisers may be protected by copyrights, trademarks, service marks, patents or other proprietary rights and laws. Except as expressly authorized by the Fiber Broadband Association and its representatives, or advertisers, Client agrees not to modify, rent, lease, loan, sell, distribute or create derivative works based on the Service or the Software, in whole or in part. The Fiber Broadband Association grants Client a personal, non-transferable and non-exclusive right and license to use the object code of its Software on their computer; provided that Client does not (and does not allow any third party to) copy, modify, create a derivative work of, reverse engineer, reverse assemble or otherwise attempt to discover any source code, sell, assign, sublicense, grant a security interest in or otherwise transfer any right in the Software. Client agrees not to modify the Software in any manner or form, or to use modified versions of the Software, including (without limitation) for the purpose of obtaining unauthorized access to the Service. Client agrees not to access the Service by any means other than through the interface that is provided by the Fiber Broadband Association and its representatives for use in accessing the Service. **CLIENT'S USE OF THE SERVICE IS AT ITS SOLE RISK TO THE EXTENT PERMITTED BY LAW. THE SERVICE IS PROVIDED ON AN "AS IS" AND "AS AVAILABLE" BASIS. THE Fiber Broadband Association AND ITS REPRESENTATIVES EXPRESSLY DISCLAIM ALL WARRANTIES OF ANY KIND, WHETHER EXPRESS OR IMPLIED, INCLUDING, BUT NOT LIMITED TO THE IMPLIED WARRANTIES OF MERCHANTABILITY, FITNESS FOR A PARTICULAR PURPOSE AND NON-INFRINGEMENT. **THE Fiber Broadband Association AND ITS REPRESENTATIVES MAKE NO WARRANTY THAT (i) THE SERVICE AND INFORMATION RECEIVED THROUGH THE SERVICE WILL MEET CLIENT'S REQUIREMENTS, (ii) THE SERVICE WILL BE UNINTERRUPTED, TIMELY, SECURE, ERROR-FREE, OR VIRUS-FREE, (iii) ANY INFORMATION THAT MAY BE OBTAINED FROM THE USE OF THE SERVICE WILL BE ACCURATE OR RELIABLE, (iv) ANY ERRORS IN THE SOFTWARE WILL BE CORRECTED. If Client receives or requests any news, messages, alerts or other information from the Service concerning companies, stock quotes, investments or securities, such information is provided for informational purposes only, and no Content included in the Service is intended for trading or investing purposes. The Fiber Broadband Association and it representatives, and its licensors shall not be responsible or liable for the accuracy, usefulness or availability of any information transmitted or made available via the Service, and shall not be responsible or liable for any trading or investment decisions made based on such information. Notices to Client may be made via email. The Service may also provide notices of changes to the TOS or other matters by displaying notices or links to notices to you generally on the Service. Any Notice that Client is required or may desire to give to the Fiber Broadband Association and its representatives under or in conjunction with the TOS or any agreement between the parties shall be made via email to infofiber@fiberbroadband.org and shall be deemed to have been duly delivered based on the date that the electronic mail is received by the Fiber Broadband Association mail servers. All trademarks, service marks, trade names or other words or symbols ("Marks") identifying the Fiber Broadband Association and its representatives will remain such Party's exclusive property. Client agrees to not take any action that jeopardizes the other Party's proprietary rights or acquire any rights in the Marks. Except as specifically stated otherwise in an addendum or amendment hereto, no license to use any Fiber Broadband Association logo, or the logos of their representatives is granted in this section. Upon receipt of such information, the Fiber Broadband Association and its representatives, at its sole discretion, may perform an investigation and may take appropriate action if it desires. The TOS and any Subscription Agreement between Client and the Fiber Broadband Association and its representatives constitute the entire agreement between client and the Fiber Broadband Association and its representatives and govern your use of the Service, superseding any prior agreements between you and the Fiber Broadband Association and its representatives. The failure of the Fiber Broadband Association or its representatives to exercise or enforce any right or provision of the TOS shall not constitute a waiver of such right or provision. If any provision of the TOS is found by a court of competent jurisdiction to be invalid, the parties nevertheless agree that the court should endeavor to give effect to the parties' intentions as reflected in the provision, and the other provisions of the TOS remain in full force and effect.